One of the hidden talents of start.me is our knowledge of useful websites, for example about building websites. With no less than 650.000 active users and over 30 million visits a month, this comes as no surprise. Our users point us to sites you may have missed. Find them all in our section called ‘Discover‘. Did you know that almost anyone can build a website today, but not everyone can build an effective and engaging site that converts traffic? Before you build a website, check some of the sites on our Discover Section first. These are some of the most popular sites on the net today for helping to build attractive and converting websites. Here are the top 5 that we feel will keep your business floating, because you need all the help you can get to prevent drowning in a busy online marketplace. This is an extremely popular online e-commerce platform that not only offers a simple way to create your own store, but to also help you market it through your Facebook page. The packages begin from a simple free store of only a few items, to using your own domain name and limitless products. 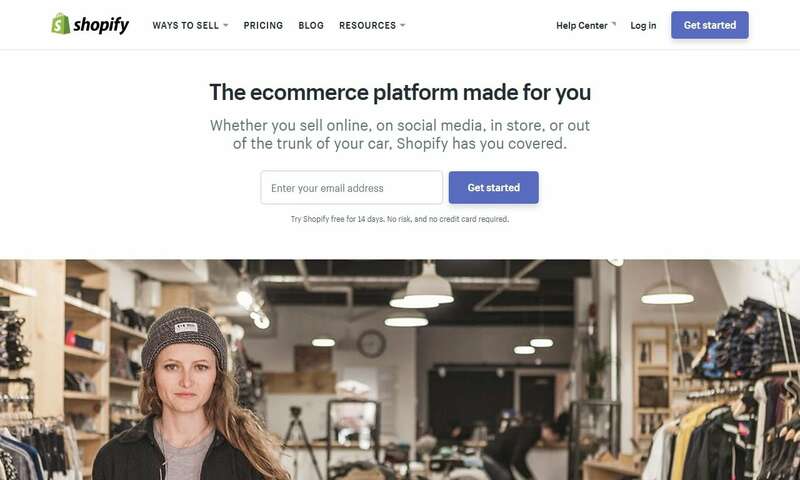 Shopify’s e-commerce software is simple to use and will guide you through every step. Their customer service is excellent too. 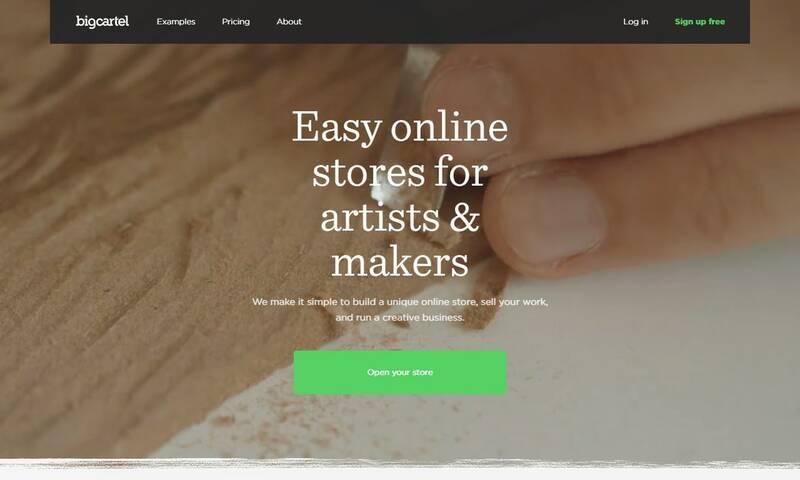 This site offers a simple way to get your store online in minutes. It’s free to register, and you can begin with one of the free packages. There is a simple drag and drop website builder interface. You can choose from one of over 200+ templates so there’s sure to be something here to interest you. Angelfire also offers affordable monthly packages for when you’re ready to take your business to that next level. Many crafters don’t feel that one of the other platforms will work as well for one-of-a-kind products. Big Cartel has a focus on the maker. They’ve been around for over a decade, and have simple tools and resources for you to create your own unique store. Crafters and artists can sell their work and promote it to their fans. There are currently over a million clothing designers, musicians, artists, jewelry makers, and more using this site to sell their unique wares. Many web gurus want to get away from the usual templates and create something truly unique. There are two versions of IM Creator. Beginners can utilize templates, or the experienced programmer can create something from scratch. 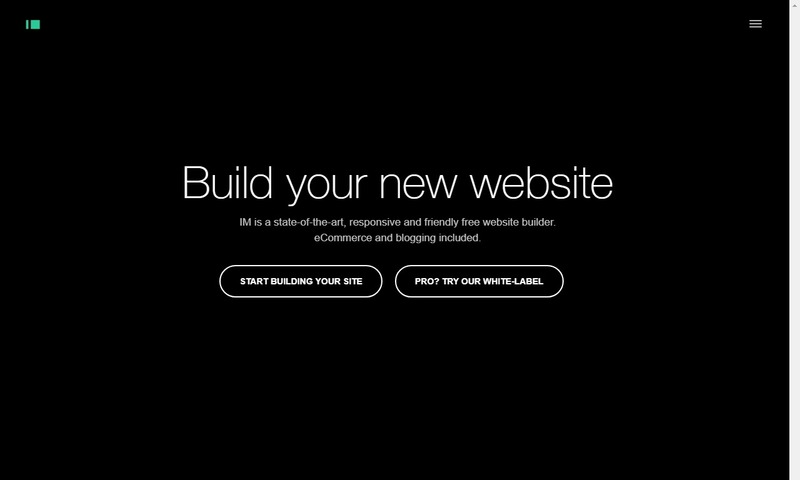 There is a simple and free-to-use way to build websites if you’re not a pro. They promise that you’ll be able to go online today—it’s that simple. Like the other sites, once your web knowledge grows, you can go for your own domain name, and more. Jimdo, probably the name of the dog in the picture? Sounds sympathetic. Many people just beginning with an online shop may not have the financial resources to cover website startup costs, so Jimdo has a solution. 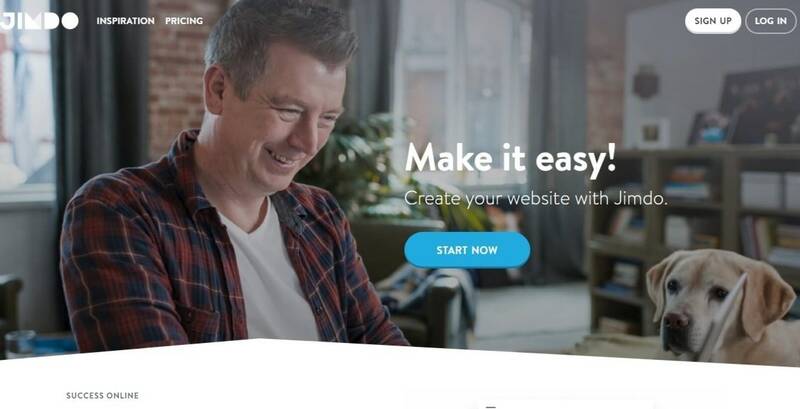 You can create a free website in minutes with their website builder. You can add everything from text, photos, videos and more, and even set up your own online store. This site needs no prior programming experience. There is also a paid membership so you can hide the Jimdo ads if that bothers you. If you’ve visited any of these 5 sites, please post your thoughts below. We want to know if they’ve inspired you to start building websites, or even to set up shop online!